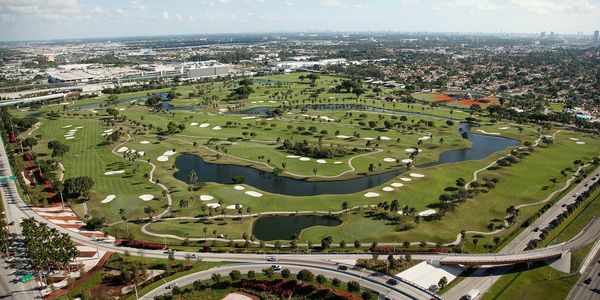 International links Miami, "Melreese", is more than just 117 acres. Melreese is a home, a safe haven, a place for all. Limiting Melreese to golf is to be ignorant of all they've accomplished. Many of these accomplishments come from gentleman I call family. These men are the DeLucca's. Melreese is different from other golf courses for one key reason: they care about the local community. Every week a group of eager young adults come hit golf balls. This group is due to a foundation with such an amazing purpose, the Sandra Delucca foundation, which creates a place for special needs children to go and enjoy themselves among friends without being judged or thought of as being out of place. I've met and experienced this first-hand as a volunteer. The work this foundation does is beyond incredible. The foundation would be crippled without the help of Melreese. This is due to the amazing environment Melreese holds for people of all types. Continuing the topic of environment, Melreese is base to another distinguished organization. This organization being the first tee. The first tee does more than just going above and beyond. They truly make a difference. From teaching kids how to play the game of golf, to tutoring afterschool at the golf course, to enforcing everyday core values, and most importantly, teaching kids the importance of enjoying life from a young age. The number of kids this golf course has affected is immeasurable. It is time we put kids over business profits. Replacing Melreese with David Beckham's soccer stadium would not benefit the public. We would lose out on such amazing programs that Melreese holds, such as the Special Olympics, Wounded warriors clinic, clinics for disabled personnel, and so many more fundraisers and awareness campaigns that happen weekly. Melreese is a place of love and acceptance. A place where character is built and trust roams freely. Melreese's impact to the individual and community as a whole is unparalleled. This is the time to stand up, this is the time to come together as a community. This is the time to show the kids that they mean more to us than celebrities and political insiders seeking to profit off of city parks. The future of Melreese and The First Tee Miami are in peril. We need your help to defeat the ballot question on November 6th. If you are a City of Miami resident, we urge you to vote NO #379. If you can contribute to our grassroots campaign, please visit www.saynomiami.com. No amount is too small. Thank you for your continued support! Friends, thank you all for supporting our petition! We want to keep you all updated and hope you get involved! We hope you join us at Miami's City Hall - Thursday July 12th, at 1:45pm.